AHD Video to Optical fiber converter required to transmit AHD Camera Video to long distance (Up to 80km) over optical fiber. 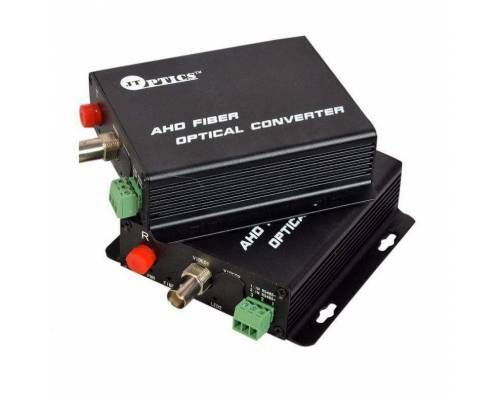 1 Channel AHD to Fiber Converter can simultaneously transmit 1 channels of AHD Video over one single-mode optical fiber. LED indicators are provided for instantly monitoring system status. Compatible with AHD-H, AHD-M , AHD-L. Lossless non-compression real time transmission. Electronic and optical adjustments are never required. Compatible with 720P/50,720P/60 Lossless non-compression real time transmission.